James Milner knows Liverpool were far from their best against Leicester City, but the vice-captain took satisfaction in the Reds’ ability to ‘win ugly’. A hard-fought 2-1 victory at the King Power Stadium on Saturday means Jürgen Klopp’s side head into the international break with 12 points from their four Premier League outings this season. First-half goals from Sadio Mane and Roberto Firmino did the damage for the visitors, who conceded for the first time this term to Rachid Ghezzal in the 63rd minute but then managed to resist sustained spells of Leicester pressure to claim the win. 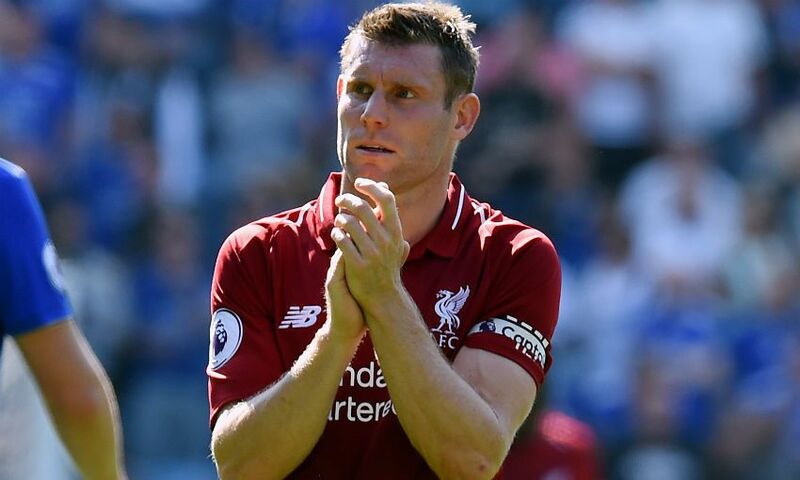 Milner, who made his 100th top-flight appearance for Liverpool, admitted post-match that there is much room for improvement in terms of performance in the weeks and months ahead. However, the significance of picking up maximum points from a below-par display was not lost on the midfielder. “It wasn’t a good performance from us in most aspects, really - pressing, defending, keeping the ball. It was tough work,” Milner told Sky Sports. “But that’s not taking anything away from them, they’re a good team and they showed that. We knew it’d be tough but sometimes you have to win ugly and we did that today. “[There is] plenty to improve on again and we need to improve after the international break. Hopefully everyone comes back fully fit, but again if you’re winning games and you’re not happy with the performances, that’s where you need to be. Milner went on to stress that nobody within the Liverpool dressing room is getting carried away with their 100 per cent winning start to 2018-19. “[We’re in] As good a position as you could be in after four games obviously, winning them all, but like I said it’s a long season, a long way to go and there’s plenty we can improve on,” he added. “We’ve seen that over the last few games, but it’s pleasing how we defended, pleasing how we’ve fought and got those results.